The new head of the Environmental Protection Agency Region 9 supports reducing carbon emissions, even if he thinks the consensus is still out on climate change (it's not). The Trump administration has appointed Republican Mike Stoker for the position. 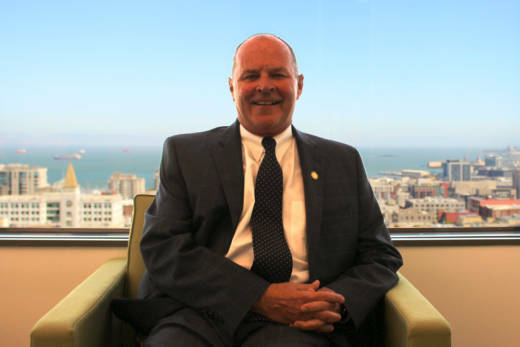 Stoker has served as a Santa Barbara County Supervisor, chairman of the California Agricultural Labor Relations Board and California deputy secretary of state. He's also worked for as a lawyer for the agricultural industry and as a spokesman for an oil and gas company. Environmentalists expressed alarm over his appointment, some calling him a threat to clean air and water. KQED Science recently spoke with him at his office in San Francisco. He said a top priority for him is to deal with sewage pollution at the US-Mexico border. STOKER: Other than where the Colorado River flows into Mexico, almost all other portions of the border, the flow is from Mexico to the United States. And I was just down there three weeks ago trying to collaboratively put together the stakeholders that we can come up with solutions to eliminate the flow coming across from Mexico or to contain it before it runs into our creeks and gets into our beaches. VENTON: Any aspects of the Bay Area that need help or more oversight around here? 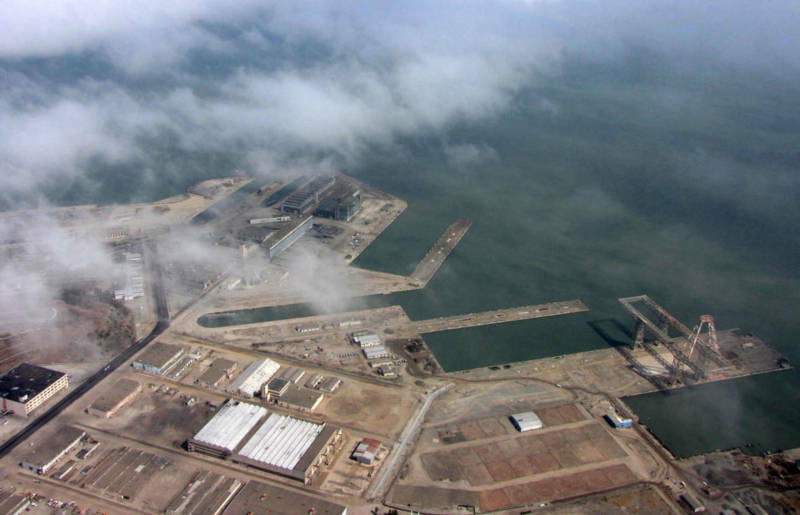 STOKER: The Navy is the lead agency, but Hunters Point is something. I just was out there touring it. The state of California through the Health Department is getting involved in a collaborative way with EPA, with the Navy, and doing testing to make sure the public is safe. We're going through all the testing that we need to do to assure the residents everything is fine. And the state of California is coming in to give the community the okay that everything is fine. So this community has my commitment as a region nine administrator that I'm going to do everything I can to make sure that the public health is taken care of and EPA is there to do what EPA needs to do to work with the Navy on one hand and work with the state of California on the other. When his appointment was announced, many environmental groups criticized Stoker’s work for an oil and gas company named Greka. The company has a long history of oil spills and environmental violations. Stoker consulted with Greka amid a fight with Santa Barbara County. STOKER: I was brought in to basically get their act together, to tell Greka, "This is what you need to do to be a responsible oil operator if you want to do business in the state of California and the county of Santa Barbara." And I educated their employees, "These are the things you need to do if you want to be responsible operators and do business here." And I think I changed the mentality of the workers that were working for Greka. It took two and a half years. We implemented all the things that the county wanted us to implement. Since that time, since I'm here with EPA, I've recused myself of having anything to do with Greka. Bay Area environmentalists say they'll be watching Stoker's actions closely. "Virtually every appointee to the Trump administration has talked about how they support environmental protection," says Kassie Siegel, with the Center for Biological Diversity. "But once they get into office they immediately set about dismantling the programs that are there to protect the air we breathe and the water we drink." As a final question Venton asked Stoker to clarify his beliefs about climate change. STOKER: Well, I mean, first off, my personal feelings is I think there's conflicting science and I personally believe there's questions on how much of it is man-made and how much of it is caused by Mother Nature and I have my personal feelings on global warming. What I can tell you is I'm 100 percent in favor of anything that reduces carbon emissions because that's good for everyone, but having said all that, I don't set any policy. And the whole global warming debate is a debate for Washington DC, and whatever they tell me is what I implement. As EPA region 9 administrator Mike Stoker oversees environmental enforcement in California, Nevada, Arizona, Hawaii, the Pacific Islands and 148 tribes.